Leading great customer service morale is top of mind this week as we celebrate National Customer Service Week. Many years ago it was the topic that many leaders and managers feared. They believed that you couldn’t have great customer service morale due to the nature of the work. Well the tide has turned and they now seek the steps to getting there. Here are 5 key leadership steps to high customer service morale. Key Leadership Steps for High Customer Service Morale. Image licensed via 123RF.com. Highlight meaning. Vast majority of employees — especially in the younger generations — seek meaning at work. How exactly does their customer service work contribute something special? Create belonging. Morale is a critical emotion. Don’t treat your employees as disposable replaceable parts. For great customer service morale, make sure they feel welcome and essential in your organization. Sustain a positive workplace. Engage them with inspirational thoughts, address toxic behaviors on the team, and overcome chronic negativity. Acknowledge, appreciate, and praise. For great customer service morale, acknowledge individual talents, and offer sincere praise. It sustains the employees through stressful interactions. 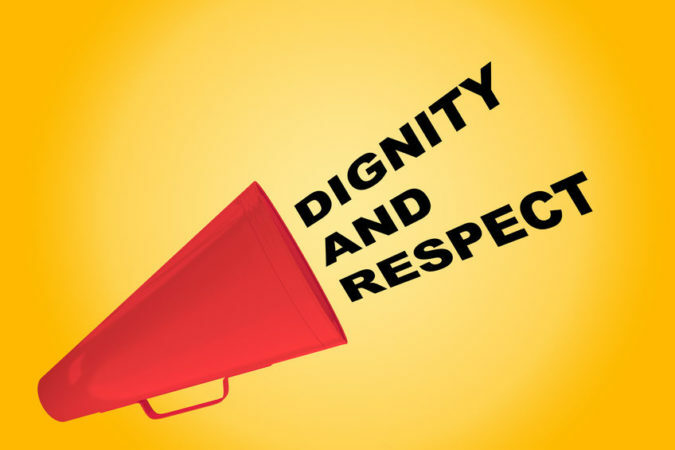 Most of all, treat everyone with respect & dignity! In the end, morale is all about daily dignity. Lead with and for dignity for great customer service morale. Leading Customer Service Morale: Special Offer! 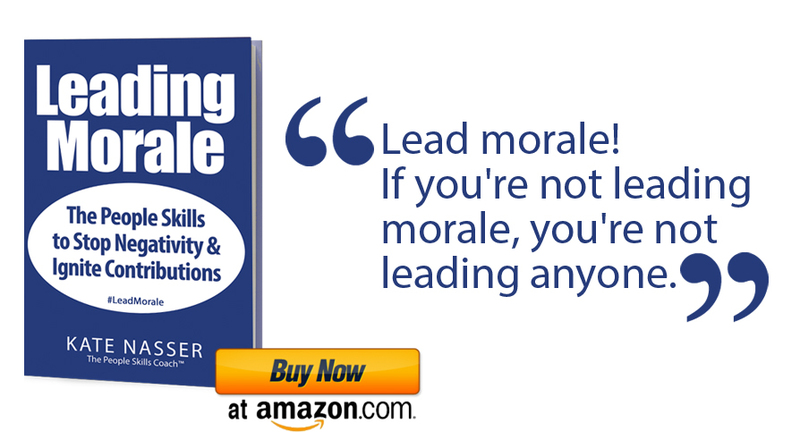 Want specific how to’s on leading great customer service morale from my new book Leading Morale? Get my new book right now by clicking here OR enter to win a complimentary copy of the book by listening to this short 1 min video! Kate Nasser, The People Skills Coach™, Author of Leading Morale. Leaders, Remove These Customer Service Morale Killers! Great post Kate! I love all of your steps and especially the last one- “treat everyone with respect & dignity!” I have found that when colleagues show respect to one another there is a higher level of trust which leads to a greater organizational result. Wonderful customer service strategies! Thank you so much for your comment. I am especially glad that you highlighted the element of dignity and respect. Morale is all about dignity!